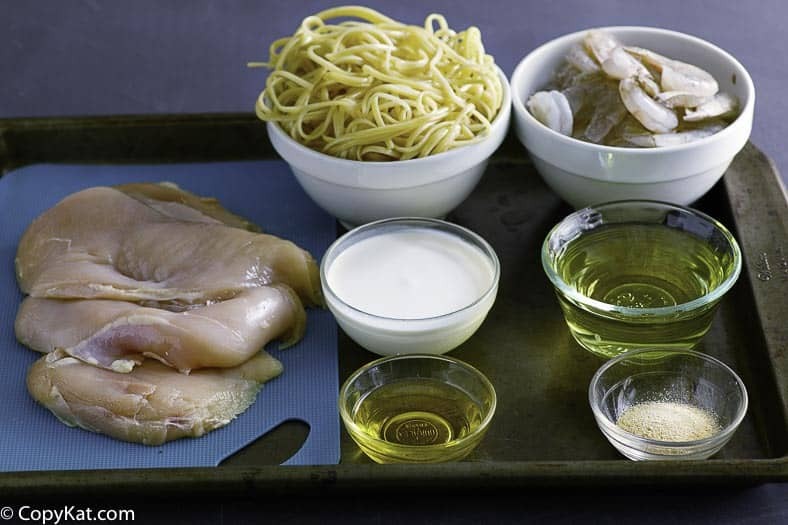 Enjoy our take on the Outback Steakhouse Queensland Chicken and Shrimp recipe at home. 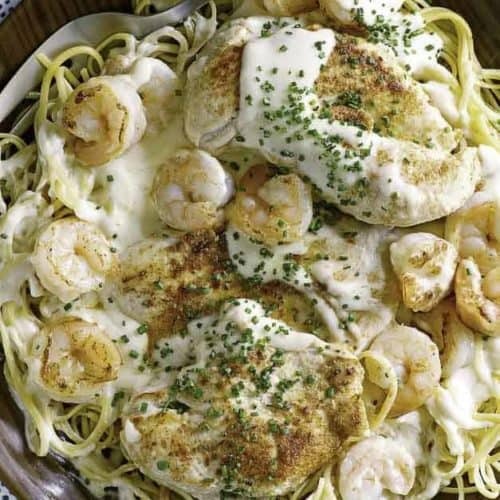 This chicken and shrimp dish in a cream-based sauce makes a most wonderful meal. Outback Steakhouse is known for their steak, but they also do this delicious pasta dinner. Many thanks to Rick Mainhart for serving up this recipe. Team it up with some salad and some bread, and you will have a complete meal. 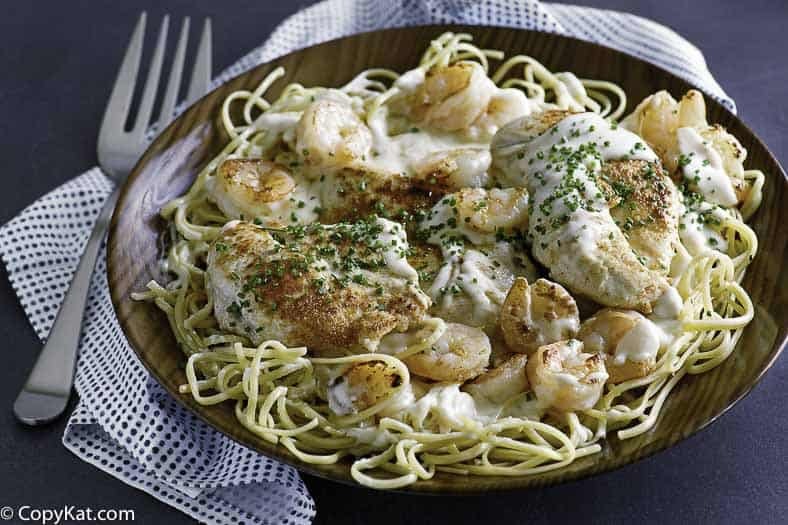 No one else combines the flavors of chicken, shrimp, and pasta like the Outback Steakhouse does. While this menu item may no longer be on the menu, you can still make this amazing dinner combination at home anytime you like. And, you thought it was Florida! However, in Australia Queensland is their Sunshine State which averages 261 sunny days each year. Here are a few more interesting facts about Queensland. Australia is BIG, and so is Queensland. It’s the second largest state in the country and clocks in at two and a half times the size of Texas. The favorite sport of Queenslanders is Rugby League. Knowing something about the mighty Maroons (Canetoads) and their many wins over New South Wales (Cockroaches) will make you “fair dinkum” with the locals. Queensland is a backpacker’s delight with over 200 national parks. The Cape York Peninsula at the very tip of Queensland marks the northernmost point in Australia. Queensland’s coastline stretches approximately 4,600 miles. And, about 1,240 miles of the Great Barrier Reef (visible from outer space) are in Queensland. There are over 100 islands off the Queensland coast, including the world‘s largest sand island (Fraser Island). Part of Queensland is in the Outback. You can vicariously enjoy a road trip to Outback Queensland by clicking here. Queensland boasts some of the oldest dinosaur footprints in the world – they can be seen in the outback town of Winton. You don’t have to go to any part of Queensland to enjoy this dish. 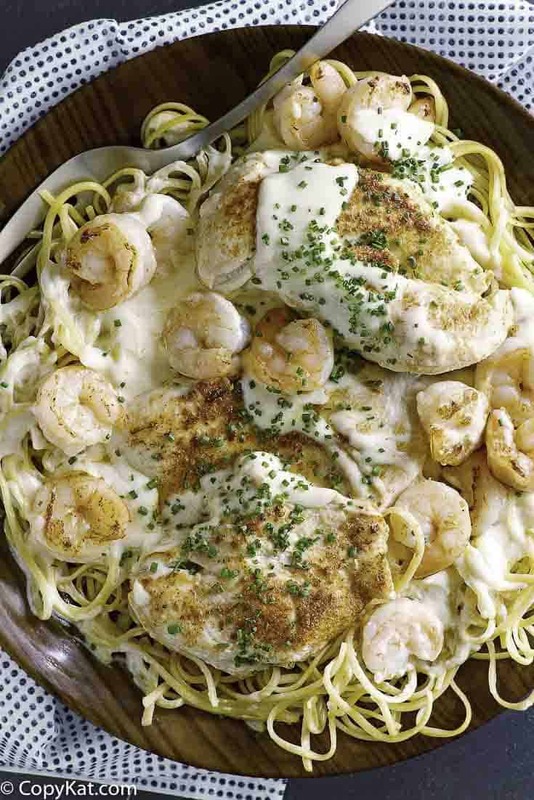 All you have to do is to prepare this Outback Steakhouse Queensland Chicken and Shrimp in your own kitchen with this easy copykat recipe. You can prepare Outback Steakhouse Queensland Chicken and Shrimp at home with this easy copycat recipe. Mortar spices well. Put cream and milk in a pan with butter and half the spice mixture. Thicken and reduce; set aside. Cook linguine to the al dente stage. Saute chicken breasts with wine and remaining spices until done. Remove and set aside. Saute shrimp in a pan, adding wine if necessary. Serve each breast on a bed of linguine with shrimp. Cover with sauce. Oh my, this sounds absolutely delicious! It’s been years since I ate at the Outback but it used to be one of my favorites – I always used to order grilled shrimp on the barbie and the shrimp came on a piece of black bread with an absolutely great dip [probably with horseradish] that made me want to lick the bowl so I wouldn’t miss any. Do you have a comparable recipe?